Communicating Trauma explores the various aspects of language and communication and how their development can be affected by childhood trauma and overwhelm. Multiple case-study vignettes describe how different kinds of childhood trauma can manifest in children’s ability to relate, attend, learn, and communicate. These examples offer ways to understand, respond, and support children who are communicating overwhelm. 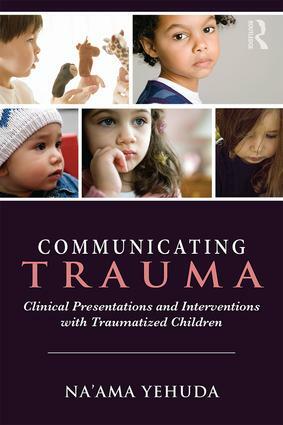 In this book, psychotherapists, speech-language pathologists, social workers, educators, occupational and physical therapists, medical personnel, foster parents, adoption agencies, and other child professionals and caregivers will find information and practical direction for improving connection and behavior, reducing miscommunication, and giving a voice to those who are often our most challenging children. Awesome! I bought your book! Yay! I hope you find it helpful. Am always interested in feedback and people’s thoughts. Take good care! I am interested in children and their ways. My husband committed suicide when my son was only 12. It is very interesting to read about children who had trauma in their life and the influence it has/had on them. I’ll let you know what I think about your book! Enjoy your day/night. Oh, wow. I’m so sorry for your loss, and for your son’s loss. Yes, children process trauma in different ways, and a lot of it depends on who and where and how they HAVE to process it with. I’ll be eager to hear your thoughts when you have read the book. Have a lovely night.